The Product consist 90 % HUMIC ACID & 10 % POTASSIUM. HUMIC ACID - It resist the plants leaves to become yellowish. It helps to produce molybdenum protein, which is natural carbonic mineral & which helps to become soil more active & fertile. POTASSIUM - It helps to grow plants fast. It prevents the black spot on leaves. It also prevents the trunk & leaves to become reddish & /or yellowish. Bahubali zyme : The Product consists COW URINE (4%), SEA ALGAE (7%) POTASSIUM HUMET (5%), FULLWIK (1%) along with desired mixture of PROTIENS, HORMONS and ENZYMES. Organic growth promoter : The Product consists COW URINE, SEA ALGAE, POTESSIUM HUMET, ORGANIC HORMONS, AZOTOBECTOR, RIZOBACTOR, AMINO ACID etc. mixed in desired level to make Bahubali organic growth promoter. Silicon granules : The Product consist 60 % Silicon. 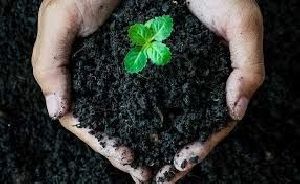 Soil conditioner : The Product consist rich portion of Calcium, Magnesium & Sulphur.